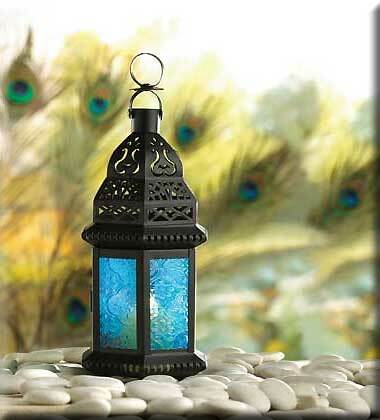 Stock# - 37438 Blue Glass Moroccan-Style Lantern - The cobalt hues of this exotic metal candle lantern bring to mind images of mysterious Morocco! Suitable for hanging or use as a freestyle lamp. For use with tea lights or votive candles only (not included). Metal and glass. 4 1/2" x 3 3/4" x 10 1/4" high. 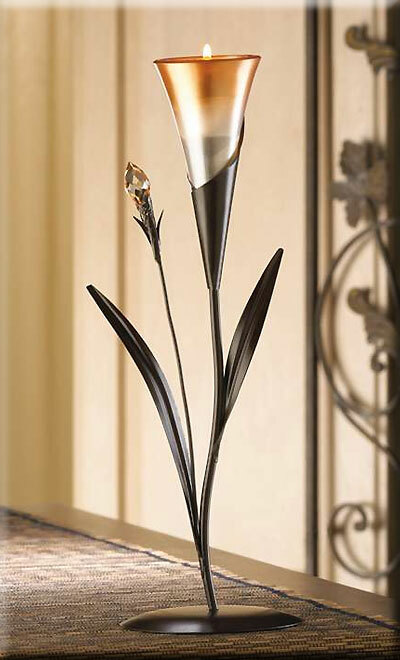 Stock# - 13917 Dawn Blossom Tealight Holder - A single graceful bloom glows at the end of a slender stem, its golden glass cup filled with lustrous candlelight. 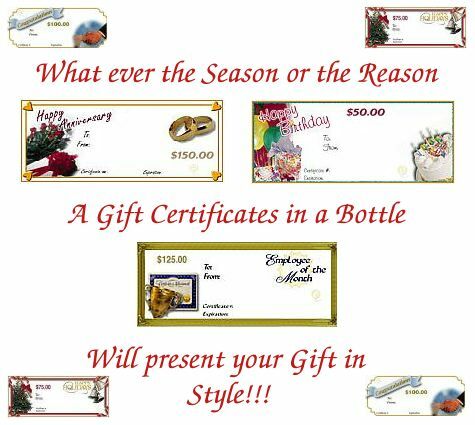 A cherished addition to your romantic decorating theme! Iron, glass and acrylic. Candle not included. 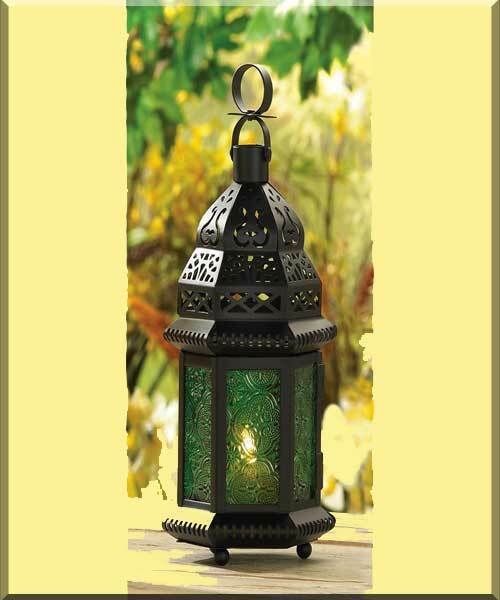 Stock# - 13244 Green Glass Moroccan Lantern - A halo of emerald green casts a serene glow, as intricate cutouts cast a net of starlight into the tranquil dark. An enchanting play of shadow and motion! Metal and glass. Candle not included. 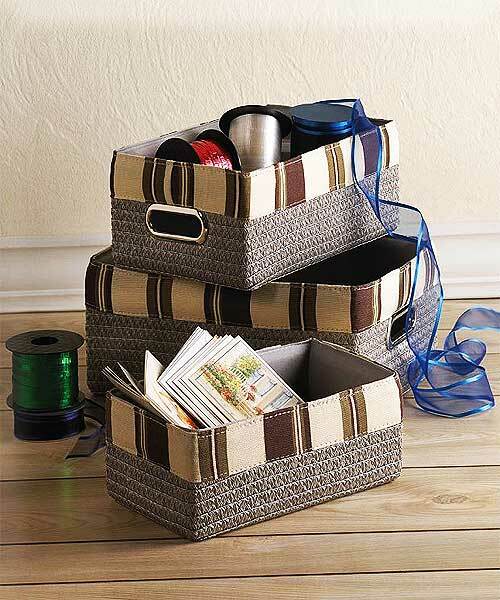 Stock# - 15164 Neutral Basket Trio - Organizing made stylish! This set of three nesting baskets features a lovely taupe woven exterior with matching lining and is perfect for getting things in order in the bathroom, kitchen, in the entry way and beyond. Highlighted by striped fabric and silver handle hardware and featuring a trio of convenient sizes, you can nestle a variety of items inside this set for beautiful storage. Dimensions may slightly vary. Lg 13 1/2" x 9 1/2" x 5 3/4" high med 12 1/4" x 7" x 4" high; sm 10" x 6 1/2" x 4" high. 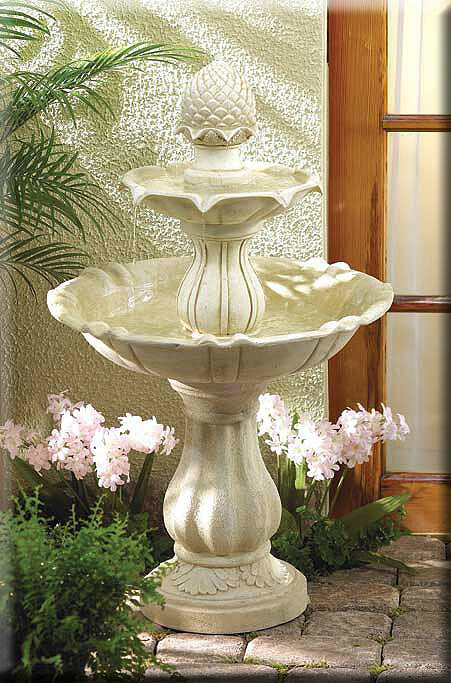 Stock# - 35144 Acorn Fountain - Water flows down three gracefully crafted tiers from a cleverly rendered acorn that symbolizes the huge potential that lies within very small things. Ivory alabastrite looks just like real stone! Pump included. Some assembly required. UL Recognized. May require additional freight charge. 23" D x 38" H.